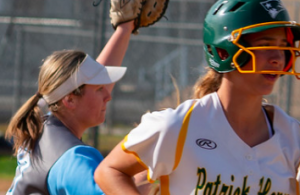 SPRING VALLEY – Despite coming off a six-win season last year, the Monte Vista Monarchs weren’t necessarily an underdog in the Grossmont Valley League this season. 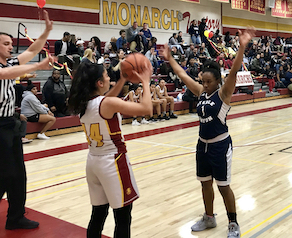 After all, the Monarchs won three league games last season and had four returning seniors, including arguably the top returning player in the league in SARA TAHA. 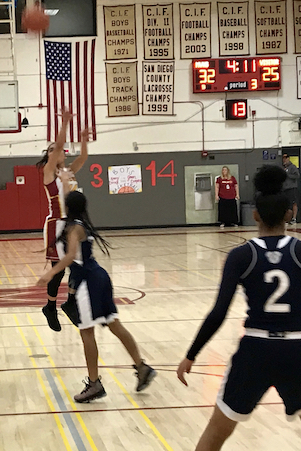 On Friday night, the veteran Monarchs defeated Steele Canyon, 51-40, to share the Grossmont Valley League championship. 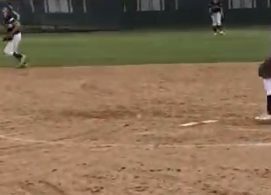 Monte Vista and Santana finished with the same 8-2 league record to become co-champions. Monte Vista started the GVL campaign 1-2 before winning its final seven league contests in-a-row. Taha, along with fellow seniors TORRI HONORE, MARIAH MOORE and ALYSSA MEDRANO, haven’t played their final home game just yet. The Monarchs (15-12) are likely to qualify for a home playoff game in the upcoming San Diego CIF Division IV postseason. 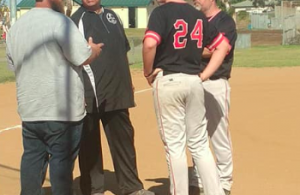 “As a senior it makes me feel very accomplished and I’m proud of us all for keeping composure and our energy up throughout the ending of our league,” Taha said. 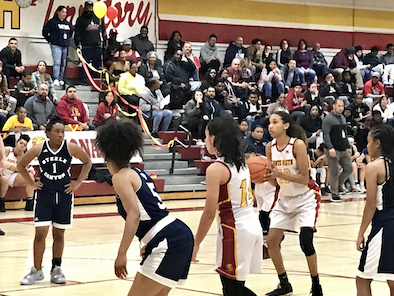 Adding to the uncertainty before the 2018-19 season was a coaching change, but the team seemed to thrive under the guidance of SABRINA JIMENEZ, a former star guard at Granite Hills, who was coaching basketball even while as a student and player for the Eagles. The Monarchs led 27-20 at halftime and 39-32 at the end of three periods. 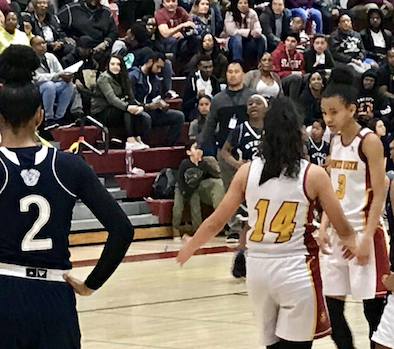 “We started off slow offensively but the girls found a groove and found the soft spots in the defense,” said the coach. “My seniors played their hearts out. “Sara and Torri took charge and kept getting inside the key which allowed them to get to the free throw line. The process now is navigating the D4 playoff bracket, which certainly seems wide open. For example, the Monarchs lost only 68-60 to the division’s likely No. 2-seed, Foothills Christian, in the second game of the season. The Cougars, meanwhile, are also headed to the postseason and will likely open on the road in a closely-matched seeding in Division III. No individual scoring information on Friday night’s game was reported.